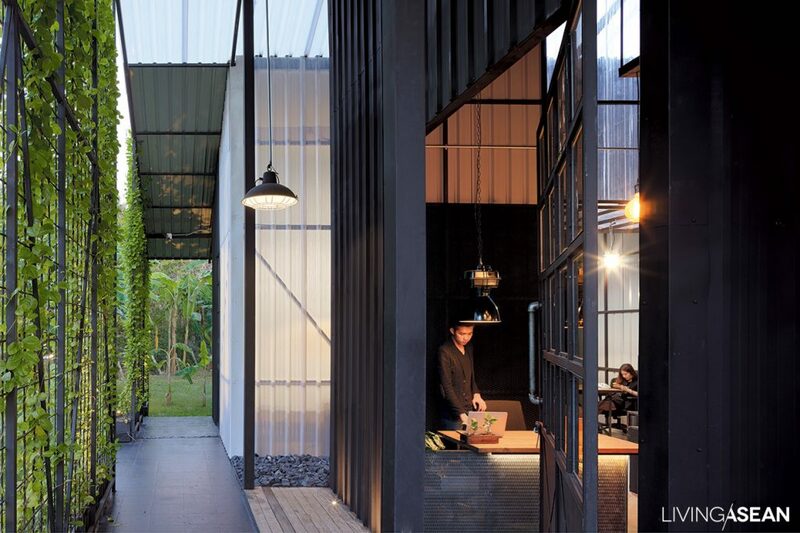 A beautiful office can be an important element in inspiring good work. 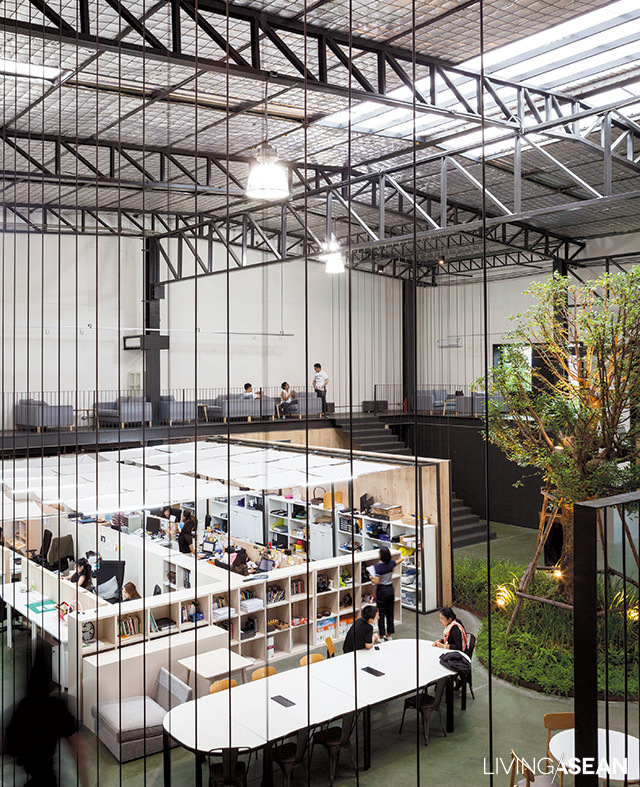 Here we give you five examples of exciting and creative office design in Bangkok. 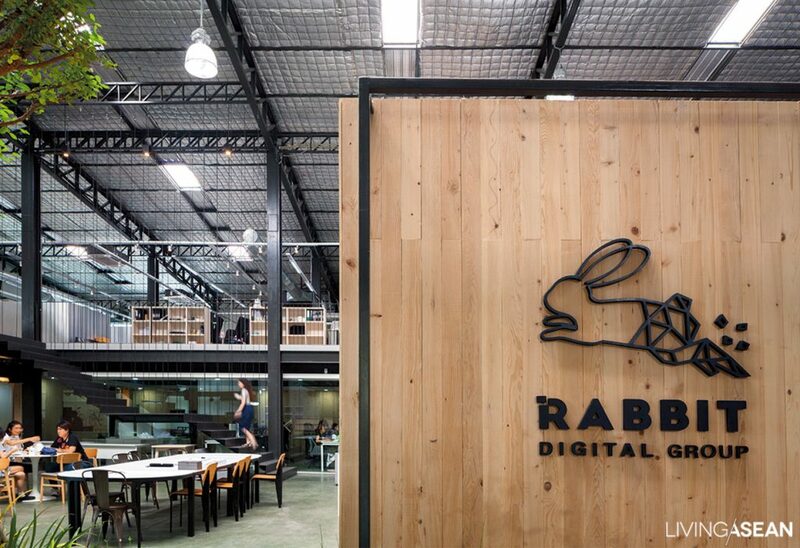 An old aluminum warehouse on Banthat Thong Road now has a new and different look: its 1500 square meters of interior space now houses the chic new office layout of the Rabbit Digital Group. 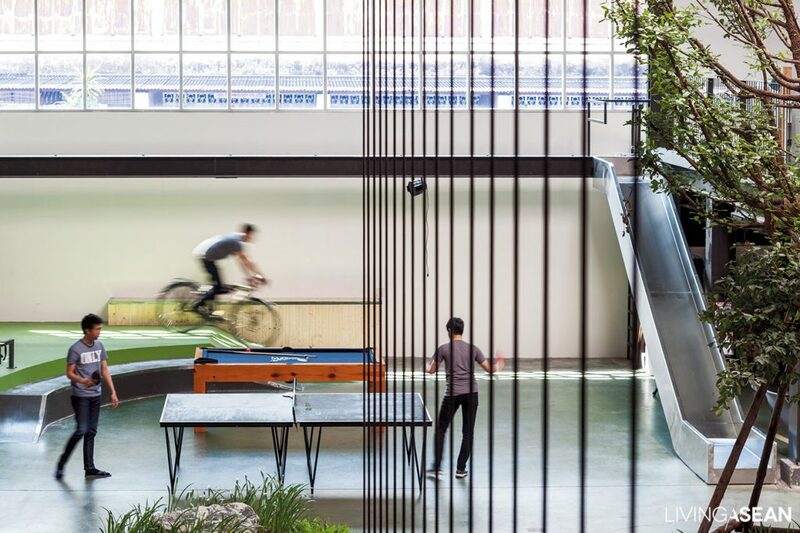 About 60 percent of the common area inside is reserved for a skateboard yard, ping-pong tables, snooker, a pantry, and a big communal table which can be used either for lunchtime celebrations or for brainstorming sessions where cool ideas are dreamed up, but that’s not all: everyone walking in to work passes through the chic industrial charm of this common area, and just experiencing the design is enough to unconsciously promote creative thinking. 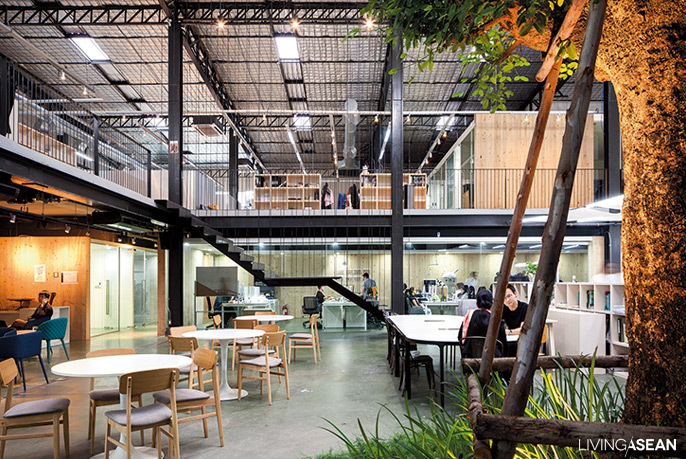 The building’s structural lines are painted black and offset by furnishings made of bright new materials: a steel stair, stainless steel slide, and natural rubber tree wood surfaces, in an open “doublespace” setting whose relaxed feeling is reinforced by living trees. It’s easy to forget this is an office! 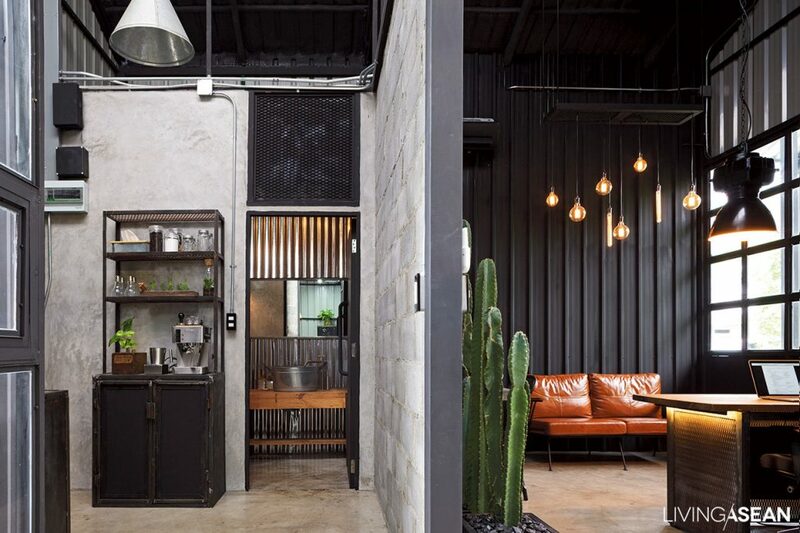 When its old office could no longer provide needed functionality for the increasing numbers of people using it, Charcoal Design decided to relocate and renovate a 30-year-old house on a 400-square-meter property as its new workspace. 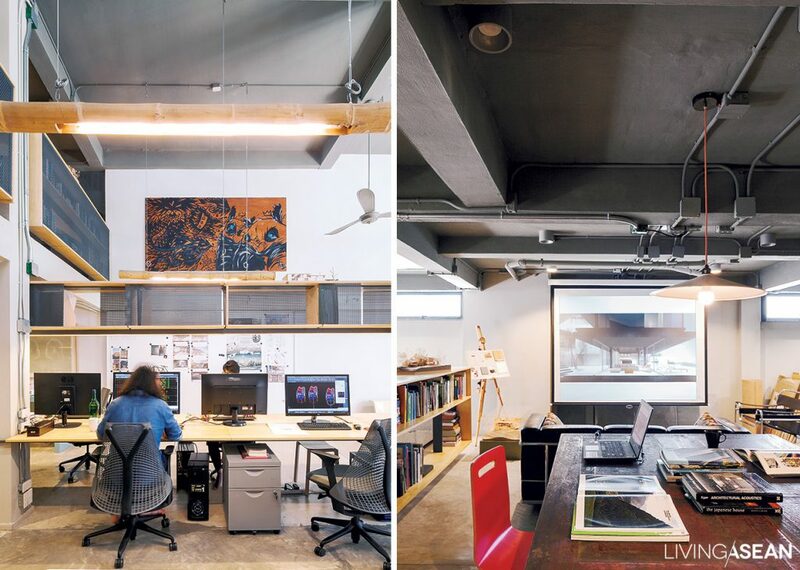 Existing rooms were torn out and replaced with a spacious area that provided not only functional support for work teams, architects, interior designers, and graphic designers, but also convenient private work areas, and with enough space to accommodate a larger workforce in the future. 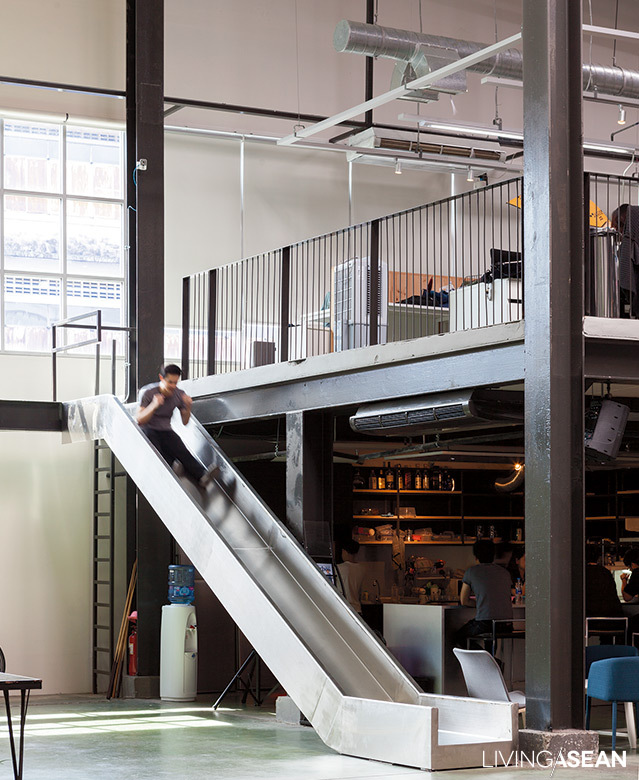 Huge cement beams above the spacious, airy work hall reach out alongside a walkway that connects to a meeting room centered around the same glass table Company executives used in the former office. The atmosphere here is designed for the kind of ambience you might find in a bar or coffee shop, with greenery to relax the eyes. 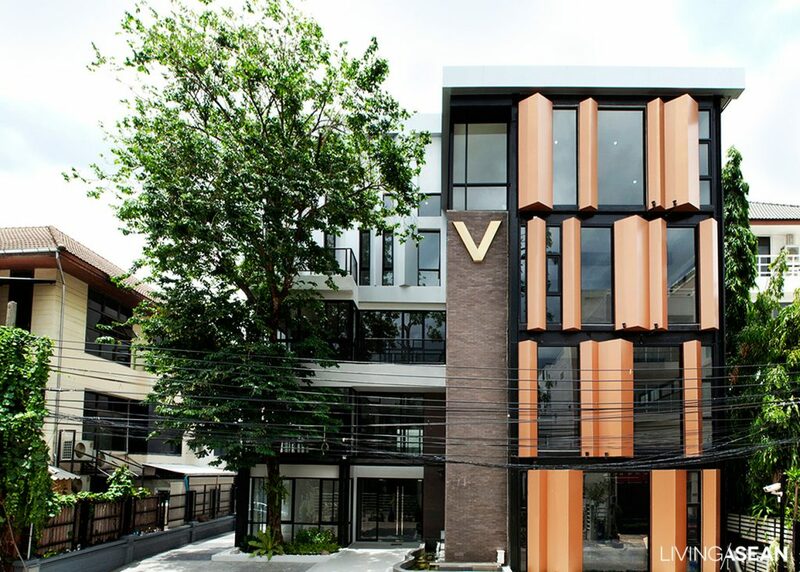 The old place was just a studio, but now you’ll find V Office – of the VCAN group of companies – a workplace remarkable not only for its form inside and out, but for its unique and unforgettable character. 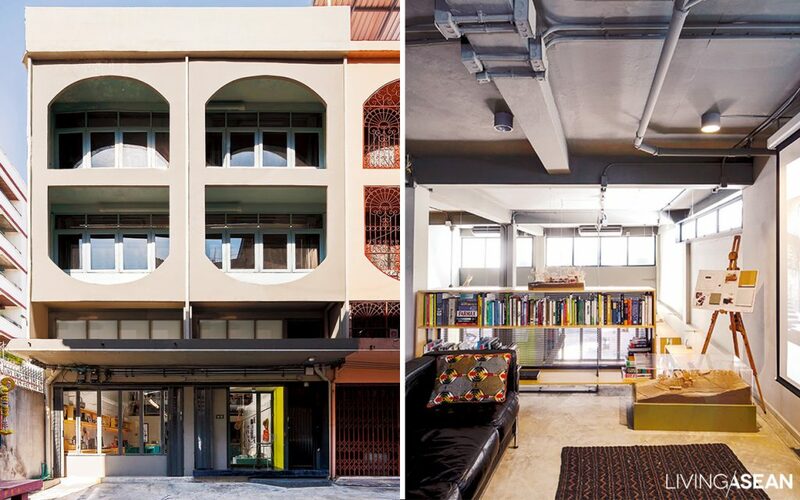 This 5-storey building with a total space of 1,321 square meters took 3-4 months to design, and nearly a year to build. Completely redone, nothing was left of the old appearance. Now it’s open and uncluttered, with surfaces of brick and unfinished cement. 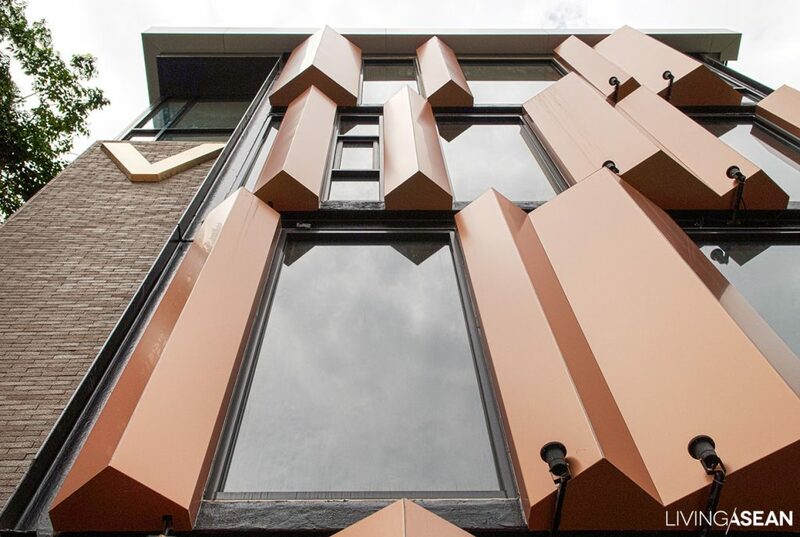 The building façade features three-dimensional repetitions of the “V” motif in copper-colored aluminum composite attached to the steel building structure, creating beautiful patterns that work both to screen the sunlight and to give privacy, while giving the building its memorable standout look. 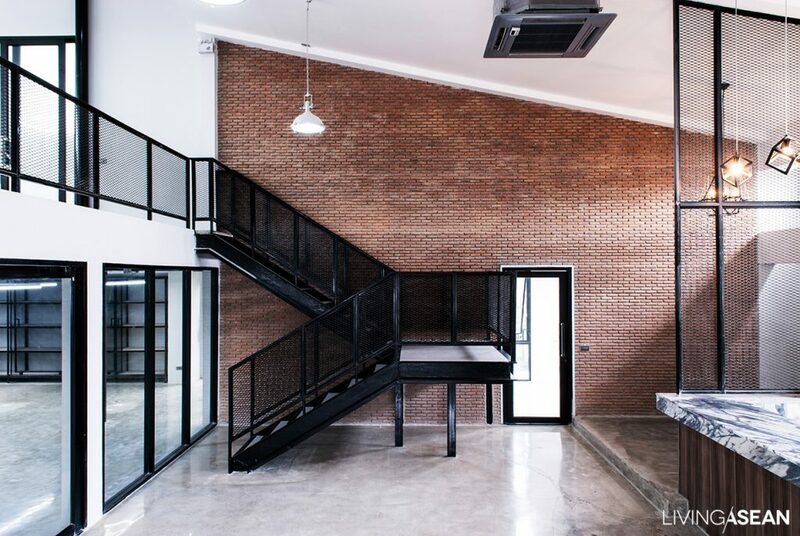 This small architectural company built its office on a 60-square-meter property with a budget of just 800,000 baht and design and construction together taking only 5 months. 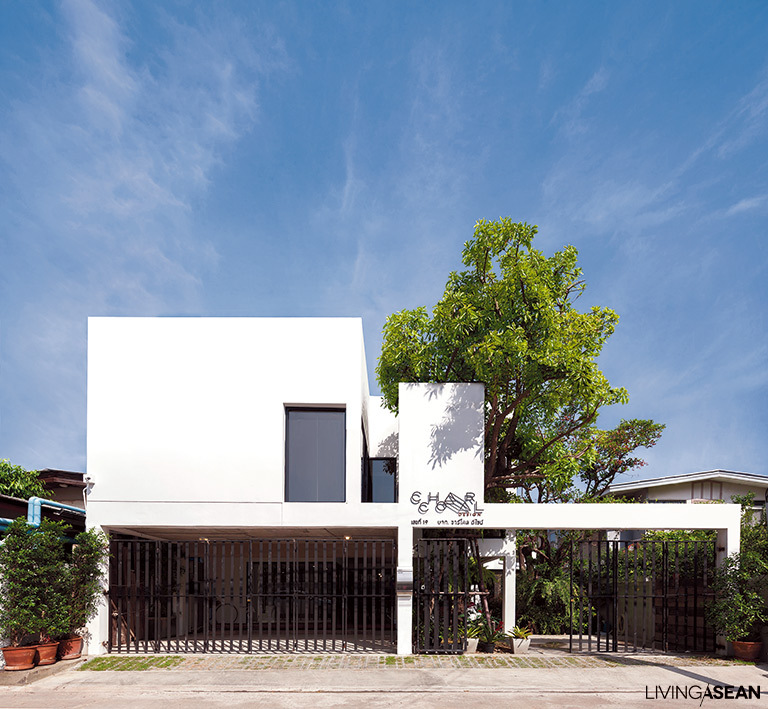 The primary design requirement was to reduce electrical use, so the architects took maximum advantage of natural light and ventilation. 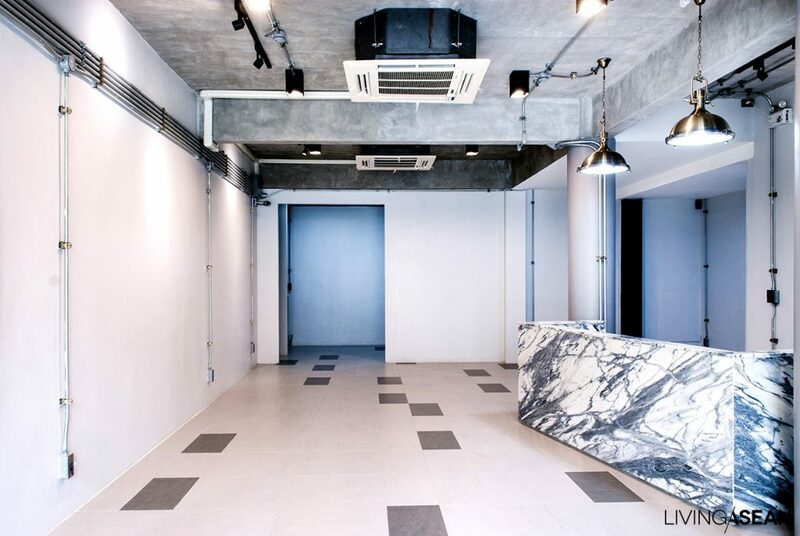 To limit dependence on air conditioning systems, circulation within the building was designed to run generally through every space and room, so heat would be released rather than trapped. 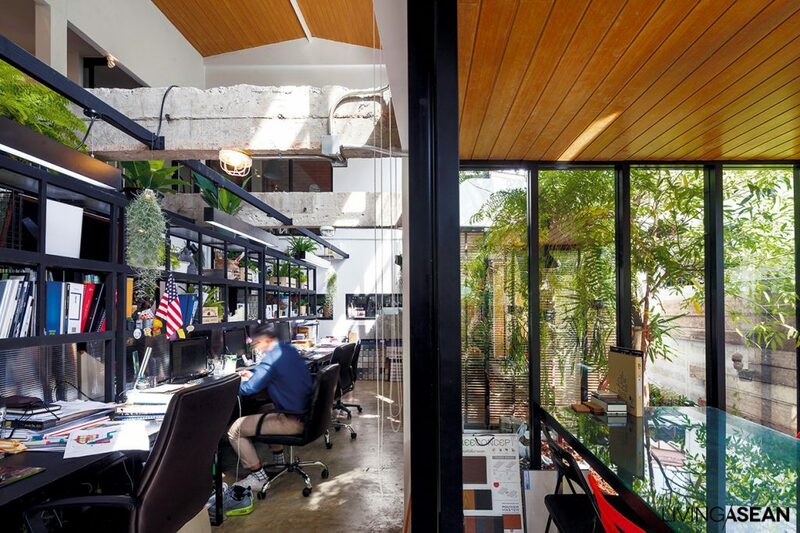 There are many strategies to protect against heat entry into a building, and architects took into consideration which times different sections received more or less use, positioning bathrooms, kitchen, and reception hall as a buffer toward the west, which gets the most heat in the afternoon, to keep office areas cool and comfortable during the day. 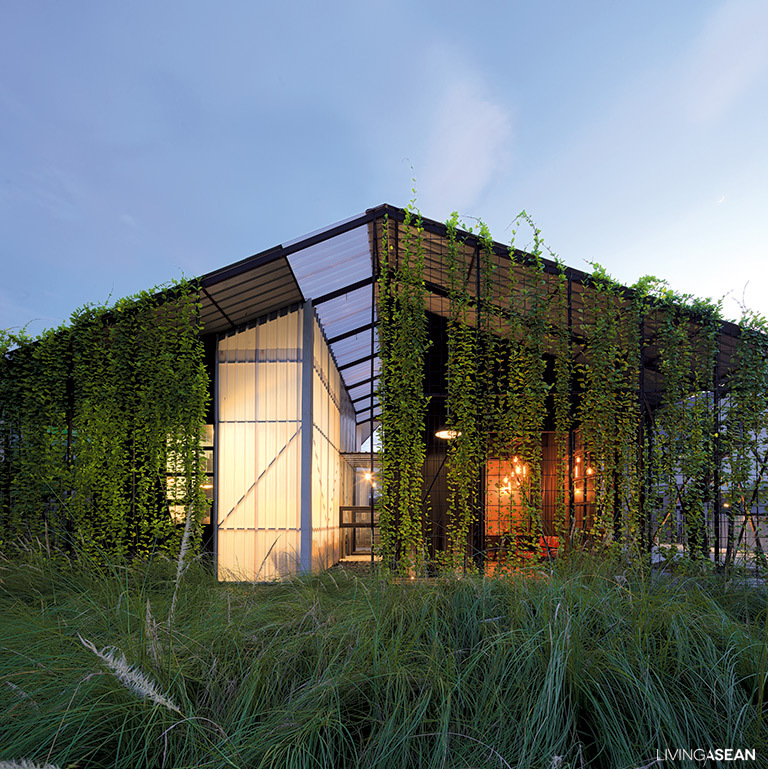 Outside, a vertical garden covers the walls, acting as natural heat insulation. 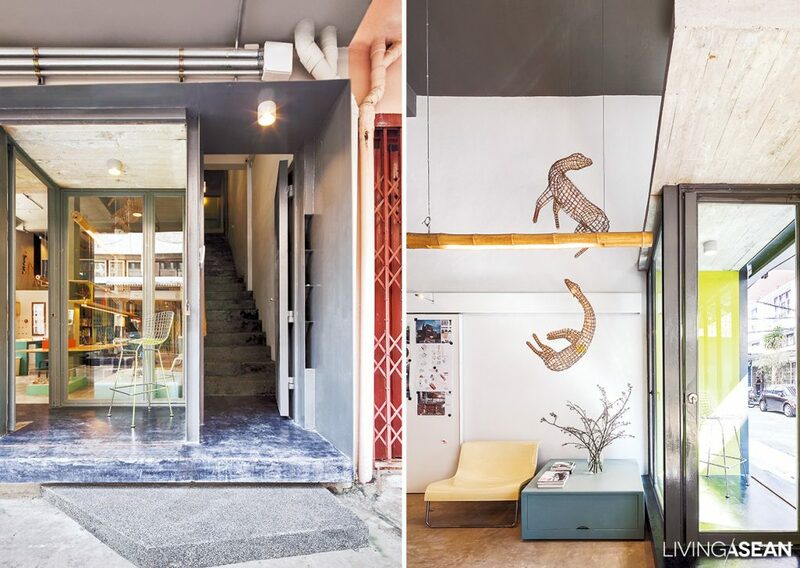 Am old 5-storey Sukhumvit area row building dating back to the 1980s with double arches in front and 600 square meters of usable space has become a charming example of architectural design. 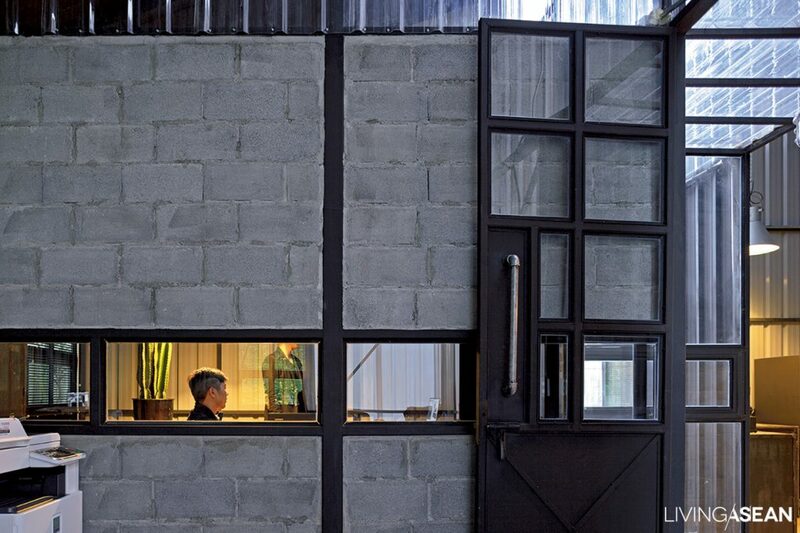 Behind a unique façade long familiar to the locals, a new office hides some incredibly charming design work, the brainchild of Malina Palasthira, a talented architect with the Designqua company. Looking for a site near a SkyTrain station where work could be done for a reasonable budget while still having enough space for herself and the 8-person design team, she found this place. To make it economical, some of the space was transformed into two differently styled Airbnb rooms to accommodate intercontinental travelers. 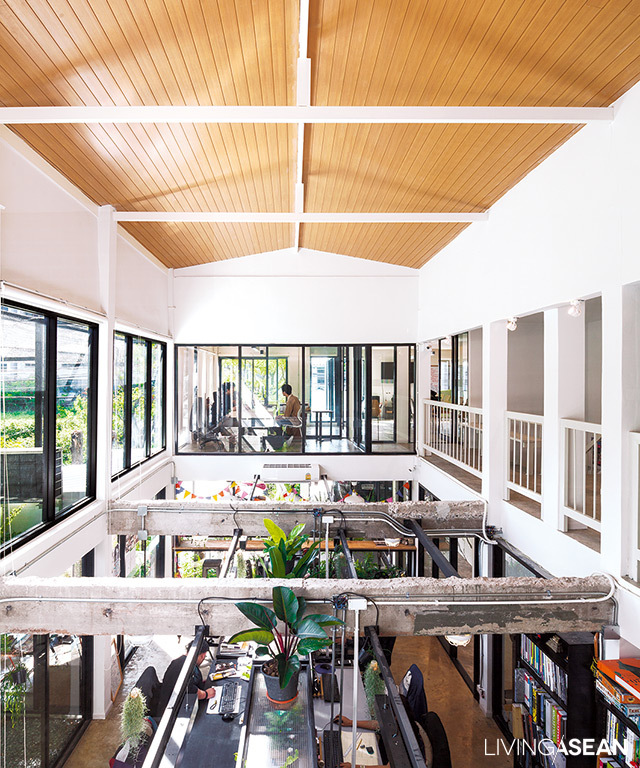 The building owner wanted to keep the “retro” building façade, but much of the cramped inside was converted into a spacious, open office. 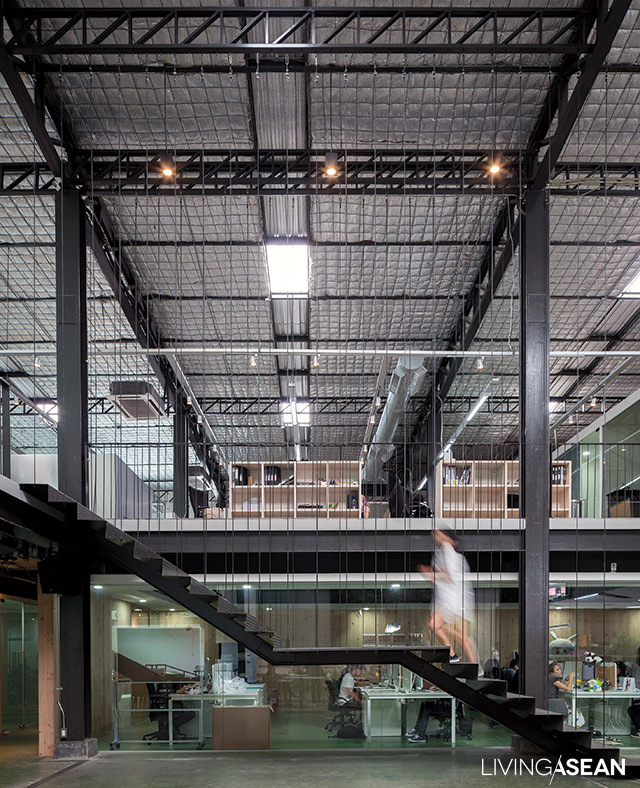 Inside is a “flying table” work desk 8.3 meters long and designed to appear as if floating in the middle of the room. Working utility systems are intentionally exposed, for an open look which shows the beauty inherent in the systems themselves.